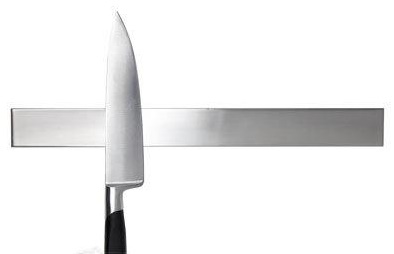 Add a little style and a lot of convenience to your kitchen with a magnetic knife rack. This elegant stainless steel magnetic knife rack is compact and convenient, keeping your knives close at hand. 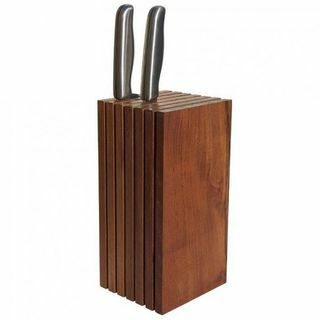 Scanpan's universal knife block with brush insert will accommodate all of your knives in one place and displayed nicely.